I think most Hockey fans are shocked by the bus accident yesterday… Can you tell if the weather had a part in it? I don’t know exactly where you are located, but given the wide reach teams have for players in Junior I hope you don’t have anyone you know involved. An unfathomable tragedy that has no words right now …29 players and coaches on a bus travelling two hours to a playoff game in Nipawin. It was very cold here the last few days, which with wind, creates icy roads. In some areas there were “white outs” due to snow flurries descending and then receding. It has not been determined whether icy conditions or snow conditions played a part yet. I travel this highway and the one through Gronlid - through the Fort a La Corne forest area - to Nipawin to see family. Weather conditions can change minute by minute - somewhat like the mountain passes. Last night many sat together at the Humboldt Elgar Peterson arena, as well as the Nipawin Apostolic church to help the families waiting to hear about their loved ones. And immediately, as “Saskatchewanians” always do, they came to help, to bring food, to pray, to offer whatever support they could for those in need. Fifteen lives left us too soon and 14 are trying to recover, several are in critical condition…the overwhelming grief of this tragedy will take time for all. so sad. If you have family in the region, then you will probably at very least know someone even remotely… so you have my best wishes… I was a city boy with rural roots at least in the summertime… Always amazed at how far ‘right next door’ was in fact. It’s a completely different concept of neighbourhood compared to the big smokes. Thanks @Doug4. In both Nipawin and in Humboldt. #PrayersforHumboldt on twitter - condolences from all over the world. Mike Babcock, Sheldon Kennedy, among many others have been on local radio to share their sorrow and condolences. CKOM650 continues to devote their radio air time to this tragedy. The overwhelming support will be needed in the difficult days ahead for all teammates, families, billet families, friends, fans, the Broncos organization, and generally the people of Saskatchewan. So sorry @TerriB for Canada and Saskatchewan’s terrible loss. Would like to help. Do you know if any websites have been set up for donations? Again my deepest sympathy to all. Unexpectedly I ended up on the highway of the roadside memorial for the Humboldt Broncos bus crash. We stopped and I slowly walked respectfully by each of the crosses that bears the first name of the players, coach, physical therapist, statistician, bus driver, and the many hockey sticks, skates, and tokens of affection that have been laid by the families, friends, and those that have passed this heartwrenching scene. The feelings are so overwhelming. As people drove in when I was there, no one could hold back the tears, adults/children, …including myself. An overwhelming feeling of loss. There is a huge towering dark green cross that says Humboldt Strong and 16 white crosses along with the memorials. This is one of those moments that will always stay with you. 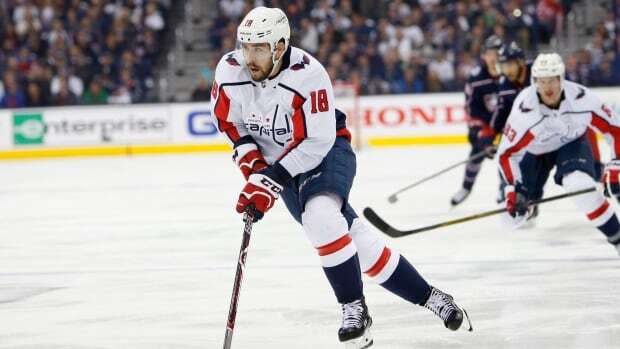 Saskatoon-born Washington Capitals player Chandler Stephenson is set to take the Stanley Cup to Humboldt, Sask., on Friday. 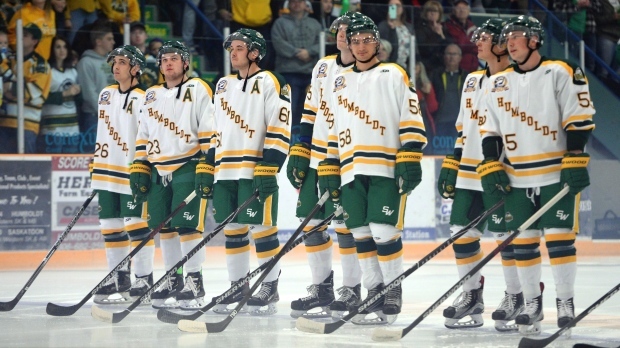 The Humboldt Broncos emerged from tragedy Wednesday night, launching a new hockey season with the help of many of the players who survived the team's deadly bus crash in April. More than 1,000 people attended the WinSport Markin Macphail Centre on Saturday for Ryan Straschnitzki's first-ever sledge hockey game at the Cowboy 'n Sleds event. Green Shirt Day was April 7th. It is in honor of Logan Boulet. 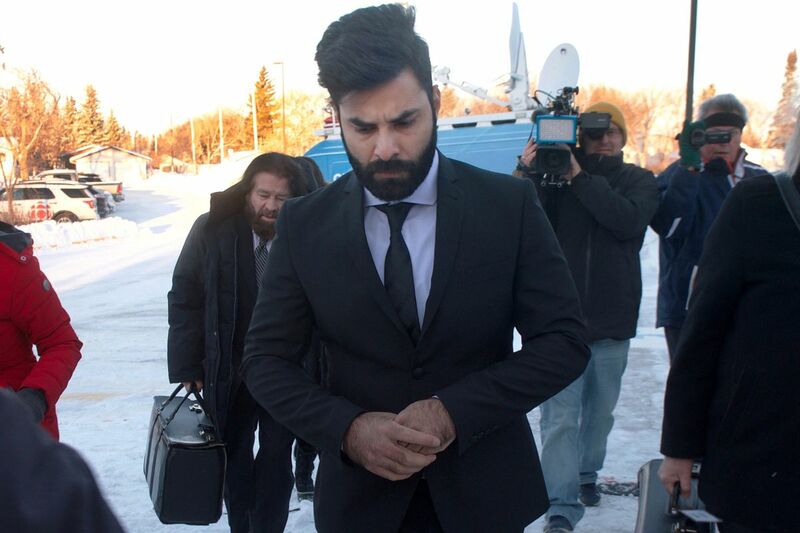 He was one of the Humboldt Broncos teammembers injured in this bus crash. With severe injuries he lived a short time after the crash. In honor of his friend Ric, Logan had recently signed his donor card, and his parents honoured his wishes and his organs were given to 6 recipients. Since that time many many Canadians have signed their Organ Donation cards and provinces are starting to change their systems to an “Opt out” system rather than an “Opt in” system, allowing for more donations to those in need of a transplant. This is known as the “Logan Boulet Effect”.